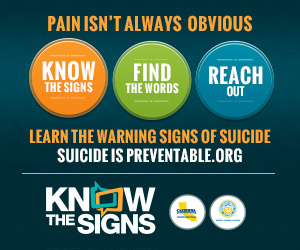 The English Web Banner contains creative files for the online banner advertisements designed to raise awareness of suicide prevention and encourage people to recognize the signs of suicide and seek help when needed. These online advertisements can be added to a website or used in a paid online ad campaign. Add this to your website or use this file for your digital advertising.